By Christina Perri. Arranged by MJ Summer at enjoypianomusic.com. Movies, General Instructional, Valentine's Day, Pop, Wedding. Sheet Music Single. 14 pages. 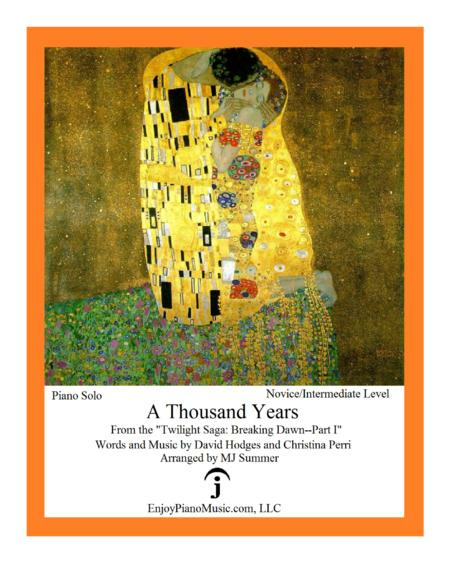 Published by EnjoyPianoMusic.com, LLC (H0.82763-221373). A player-friendly arrangement of this beautiful song, MJ arranged it for young teens and adults who want to play the entire song at the intermediate level. Teachers might find this arrangement helpful in motivating their everyday students to learn this song if they are familiar with its melody.